Executive Director with financial management background and prior experience as Senior Consultant for a Big4 consulting company. Member of the Board of Directors and President of the Audit Committees for companies from the insurance and private pension industry, consulting, civil aviation and NGOs sector. CFO and Deputy CEO for Metropolitan Life, part of MetLife Group (previous Alico and AIG Life), with a constant focus on ROI analysis, sustainable and profitable business growth, merger and acquisitions, as well with solid knowledge in corporate governance area. Relevant experience as KPMG Senior Consultant – FCMG, IT&C, civil aviation, air catering, fuel supply – performing Interim CFO, accounting & tax limited review and due diligence missions. In the past, I acted as Member of the Board of Directors, Audit Committee Chairman at TAROM National Airline Company, a 2000+ employees company. 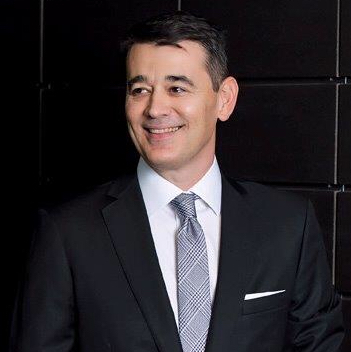 Member of United Way Romania Board of Directors and MetLife CSR Executive Lead for Romania. As CSR Executive Lead, I advocated for the constant investments in CSR programs, the result being the facilitation of more than $1 million in local CSR programs, in 2015 and 2016.